Step 4 – Start Trading! Binary options offer an innovative new way to trade, where you can profit in a rising or falling market and trade a variety of underlying assets including stocks, indices, currencies, and commodities. The most basic type of trade is very simple. You choose an asset, and if you believe the price is going to rise or fall, you select a position to hold until your expiry time elapses. When the option expires, if you are correct, you win a percentage of your investment. If you lose, you lose your investment, though most brokers will offer you a small return. 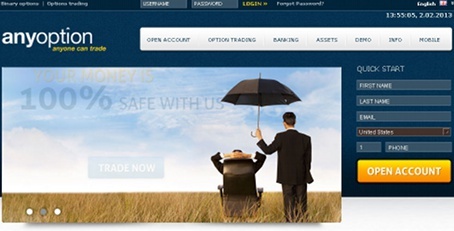 Binary options trading is open to traders with small or large accounts, and most trades are short term. You can get started on anyoption, one of the most popular binary options websites, with just $200, and you can trade in US Dollars, British Pounds Sterling, or Euros. The minimum trade amount is just $25, so even if you don’t have a lot to invest, you can give it a try. The return rate on winning investments is up to 71%, and if you lose a trade, you can still get a 15% out-of-money reward. The site is powered by proprietary software and accepts traders from the USA. If you look up binary options brokers online and check out reviews, you’ll quickly find that anyoption has one of the strongest reputations out there. There are a couple of different ways you can trade on anyoption. You can do High/Low binary options, or you can do One Touch trades. With the first, you simply decide whether a given asset is likely to go up or down within a certain time period. With the second, you say whether you expect a certain option to touch a particular price within a given time period. You’ll find out more about how to trade these options later on in this guide. Ready to get started? 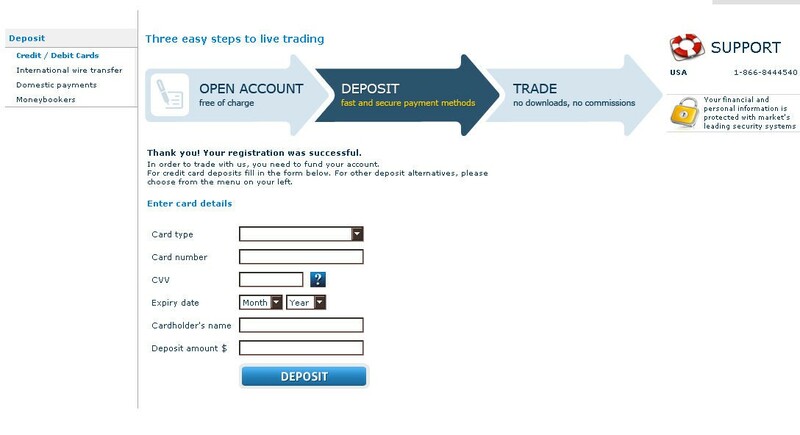 Check out this step-by-step guide below to start get set up on anyoption and start trading right away. Once you’ve deposited your funds, you’ll be ready to start trading on anyoption! 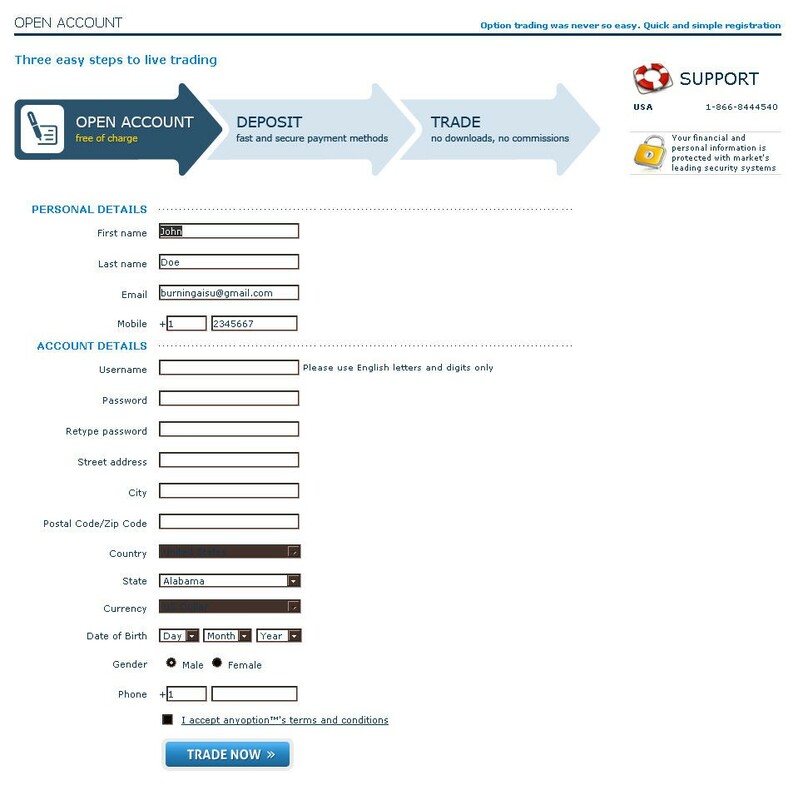 Navigate to the trade page, pictured below, and you’ll have access to Binary Options, Option+, and One Touch trading. The screenshot below is of One Touch trading, because that is the only type of trading anyoption offers on weekends, and we put this guide together on a Saturday. You’ll notice that the user interface is very simple and easy to use. For One Touch, for example, all you need to do is select an option, check the return percentage, enter in how many units you want to buy (after looking at the price), and then hit “buy.” You’ll notice the terms in gray text below each option telling you what price the asset needs to touch by what time for you to win. With Binary Options, all you do is choose “Up” or “Down” on a given asset. You’ll notice graphs are provided to you for some context on your trades. We recommend that you take some time to develop a trading method and test that method before you trade live with real money, and also that you download some free charting software to practice and plan your trades with. This will make it more likely that you’ll become a profitable binary trader over the long term on anyoption.com. 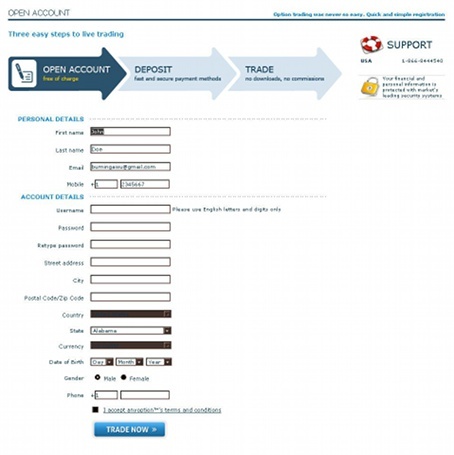 You can view your past trading history at any point by clicking on “My Account.” Good luck with your trading! Read more articles on Books & Guides, Brokers.